Oceanside has beach access & tent sites available. *Credit Cards are accepted to reserve sites. Upon arrival, park asks that you pay by Cash or Check Only. What a wonderful, beautiful & quiet place to stay. A hundred ft. from the ocean it is outstanding to say the least. Love it! As first time RVers, we love this place. The location is amazing, the people were so lovely and welcoming and the park is clean and well designed. 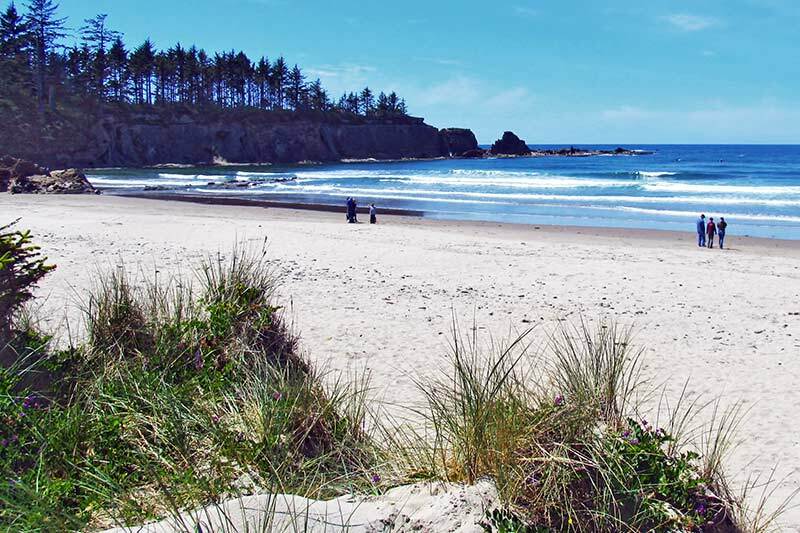 On the drive through Coos Bay, there are so many sketchy looking parks, but this one backs onto the beach, has glamping, cute cabins and a yurt! We loved this great park. Right on the other side of the dunes is the most beautiful beach with gorgeous rocky cliffs and great waves. The owners are a delight with free fish cleaning, crab cooking area, and anything you need to catch or cook them. We really liked the camping feel with all the amenities. We had stayed here once before and really loved the park (especially the location right on the beach), but the manager left... ummm, shall we say... something to be desired. Michelle and Dan, the new managers, are light years ahead of the old ones, really nice helpful people, and this park now rates a perfect 5 stars. We travel up and down the Oregon coast at least once a year, and will come back here again. You won't believe how private their beach is. We practically had the beach all to ourselves, just a short walk from our site.